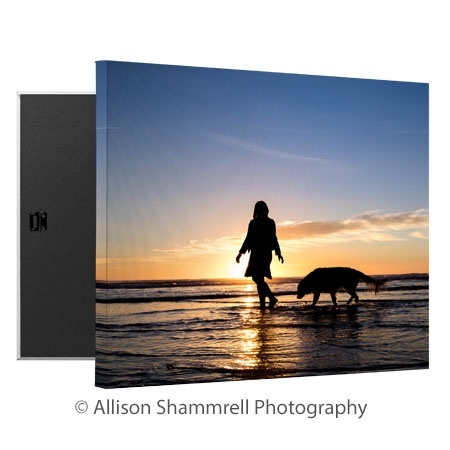 We make it easy to create a personalized gift of custom canvas prints to offer your professional photography customers. 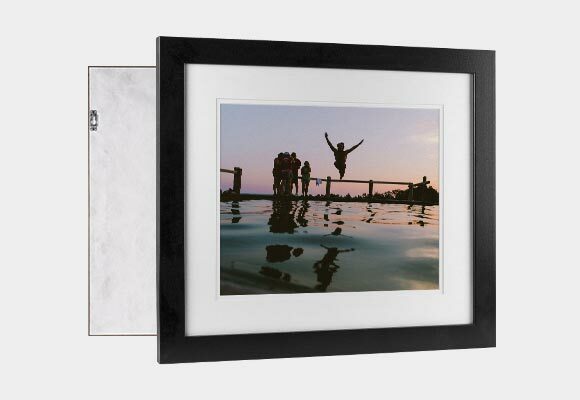 Take their favorite image and turn it into a custom canvas print for display on a wall that will be seen by everyone who comes into the room. 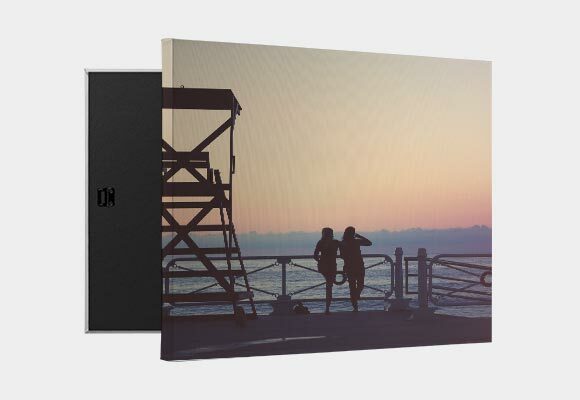 Whether your customers purchase custom canvas prints for their own use or to give as gifts, canvas prints bring any photo to life in a unique way. 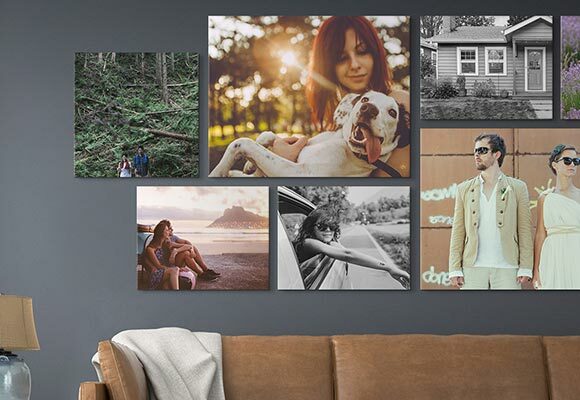 Before you decide to offer custom canvas prints for your customers, you should understand this process and what to look for in a quality custom print. You have two options for how you will bring your photo to life on canvas with CG Pro Prints. First, there is the traditionally-stretched canvas printed with an eight-color inkjet printer on genuine artist canvas. You can choose three different depths - 0.75 inches, 1.5 inches or 2.5 inches. This print comes in a hardwood frame with hanging hardware included so your customers can easily display a print once they receive it. 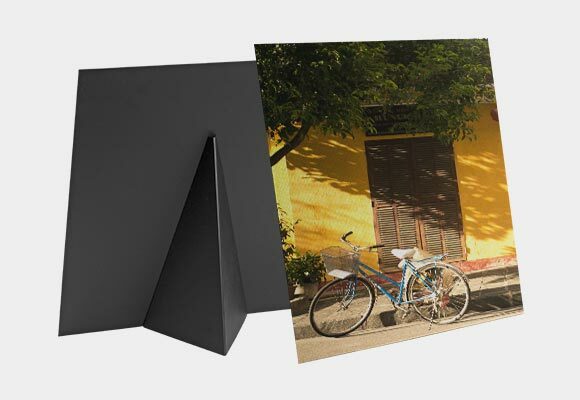 Your second option for transferring photos to canvas is solid-faced canvas prints. Once again, a genuine artist canvas is used with eight-color inkjet canvas printing. 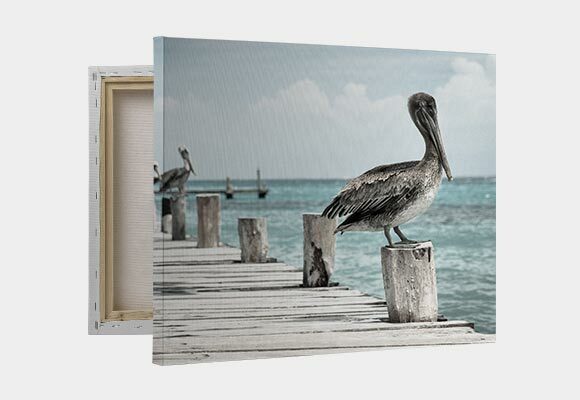 This canvas comes with a sealed finish backing and is mounted on high-density wood fiberboard. It features construction that is resistant to warping and is ready to hang. We use inks that won’t fade for our custom canvas printing, so the picture you get now is the one you will see in five or ten years. With either process, details are preserved so the images stand out. At the same time, over-saturation is avoided, as well as shifting color, which can ruin an image. The result is a product that is as top-quality as the photos used to create the custom canvas prints. The prints will continue to look fabulous because they include a full frame inside to hold everything taut and as flat as when it was made. 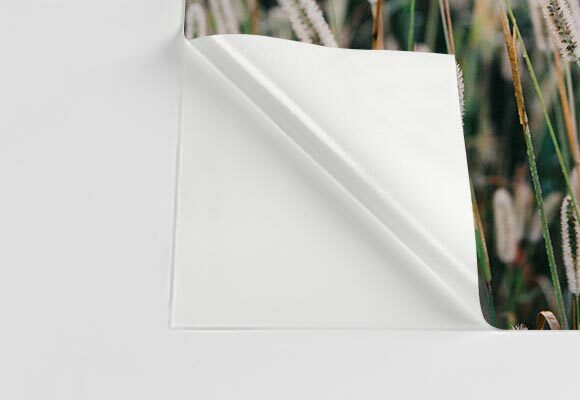 Corners are extremely tight to prevent sagging while the backing is sealed to preserve the integrity of the print. 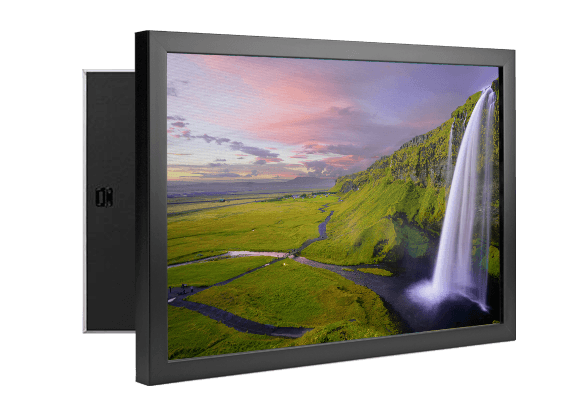 If you choose the traditionally-stretched canvas wraps, you have the experience of craftsmen who have been doing this work for decades. You can be sure the result will be fantastic because they care about the work they do. 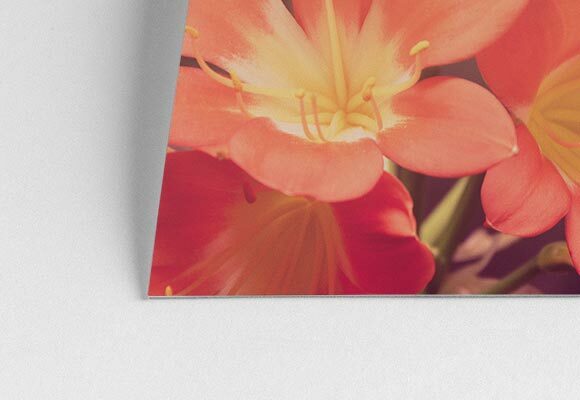 When you choose either the solid-face canvas print or the traditionally-stretched canvas print, you have several options to allow you to further customize the result. With solid-faced canvas prints, you choose a black, white or walnut frame or simply leave the print unframed. You also have a range of sizes to select from for your custom canvas prints. You can go as small as 5” x 7” or as large as 32” x 48” with numerous sizes in between. 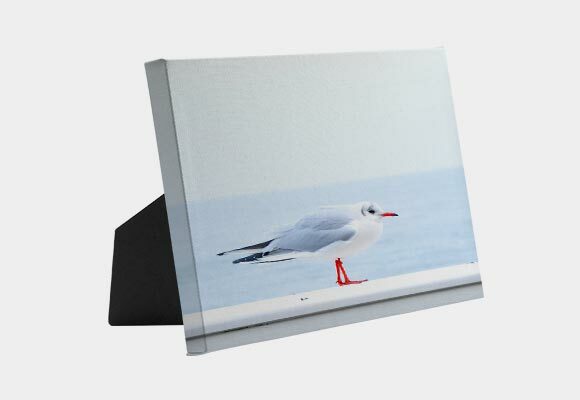 The large custom canvas prints make a prominent display and a wonderful gift. The options for traditionally-stretched custom canvas prints are different but just as numerous. You can select the thin wrap at 0.75 inches, the thick wrap at 1.5 inches or the chunk wrap at 2.5 inches. For each of these options, you can choose multiple sizes, beginning with an 8” x 10”. The largest size is a 32” x 48” print with many sizes in between. 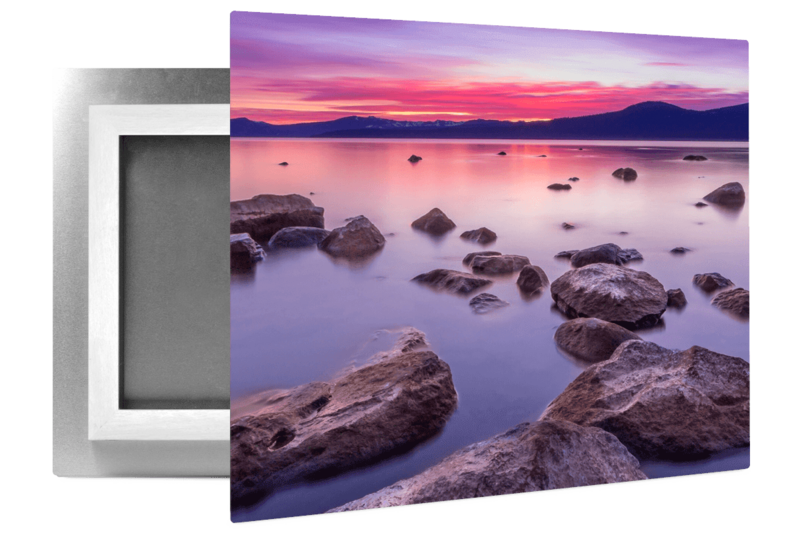 With numerous sizes available, you can offer custom size canvas prints to suit the needs of all your customers. Once your canvas is created, the team will promptly ship the print. If purchasing multiple items, you may be able to receive consolidated shipping for reduced rates. This is an ideal solution if you’re a professional photographer offering this unique product to your customers. This affordable, memorable product is created in just three business days. You can offer the service to your customers for a birthday or as a wedding gift, even if it’s almost the last minute. All you need to do is to upload your image file for the photos you want to use. The system will convert from the RGB color profile to provide brilliant coloring that is accurate to the photo. Any edits to the images must be completed before the image file is uploaded. 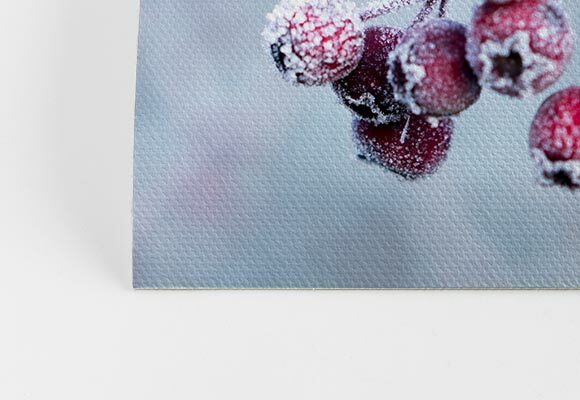 For instance, you may want custom canvas prints with text, which would require the text to be added to your file before you submit it to reprint on canvas. It is important to use a standard light source when editing the photos to ensure accurate coloring for the images. Keep all bright colors away from the proofing area as well as the light source for the most accurate results. Customers highly recommend CG Pro Prints because we create prints that are museum quality. At the same time, the prints are affordable, even for the photographer who is just starting out. When you choose us for your canvas prints, we help you create an outstanding reputation as a respectable photographer with first-rate products. The quality provided is consistent. It doesn’t matter if it’s your first or fiftieth canvas print or which approach you’re using, the results are always the same. You’ll be impressed by what you see every time. We provide top-of-the-line service for all our customers. With our prints, you can feel good about offering this product to your clients, knowing they will be pleased with the results.